The past couple Sundays have been busy for the students in the Adult NS program! 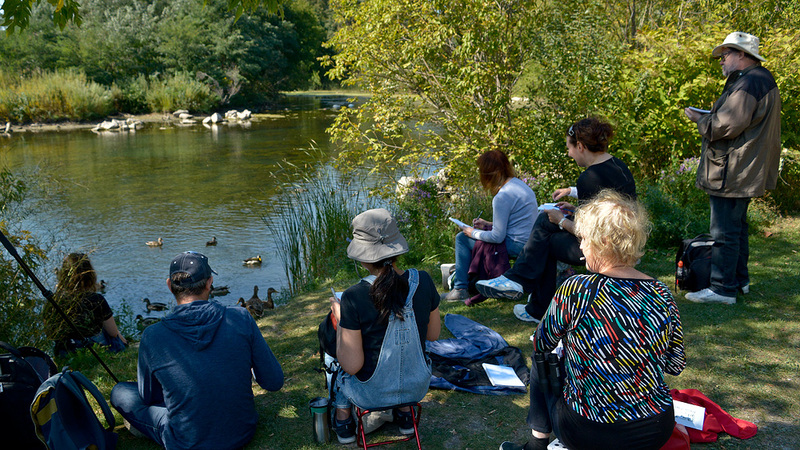 Colonel Samuel Smith Park is a birding hot spot and the perfect place to put Gesture drawing into practice. 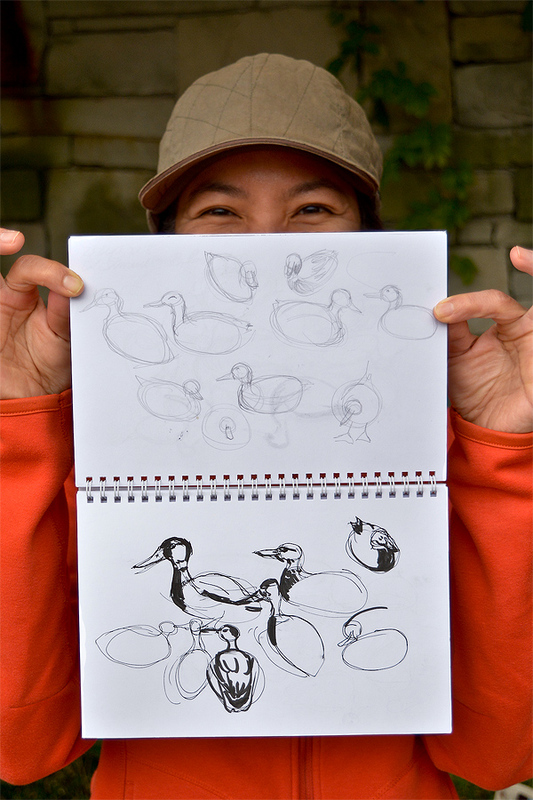 Luckily, we had no shortage of Mallards available to draw! Joining the class was Birder & Photographer Nancy Barrett who spoke about the diverse habitats found at this shoreline park and its importance to a myriad of migratory bird species. Nancy also shared information about Friends of Sam Smith Park, a local citizen group that promotes respect for wildlife and park stewardship. 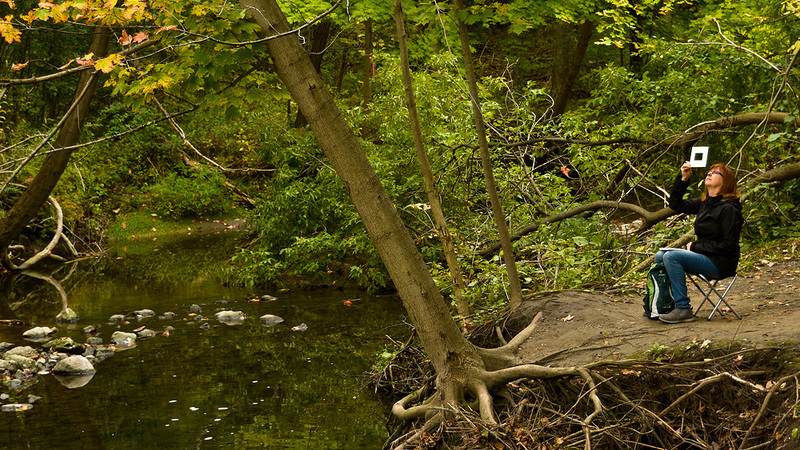 The following Sunday was spent exploring the wild ravines at Toronto Botanical Garden. Jackie Hamilton from the Toronto & Region Conservation Authority was present to speak about ravine ecology and invasive species. Jackie also answered specific questions people had about trees and addressed how conservation agencies are working to rehabilitate Toronto’s ravines. 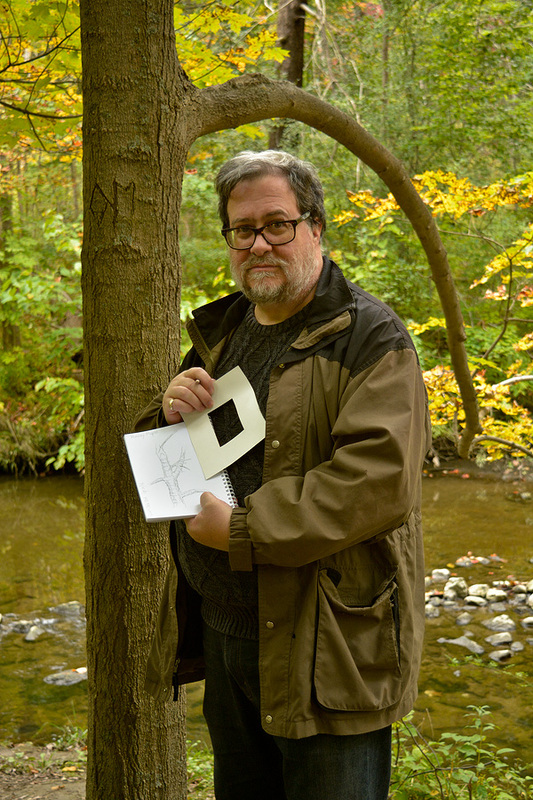 Negative shapes and composing with the aid of a viewfinder were the artistic elements we focused on with the ravine as our backdrop. 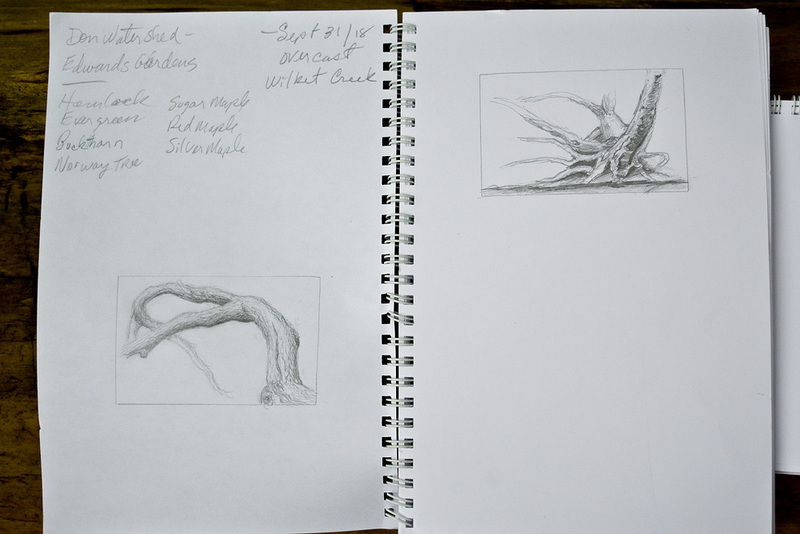 A big thank you to Nancy Barrett and Jackie Hamilton for coming out to speak with the sketch artists! 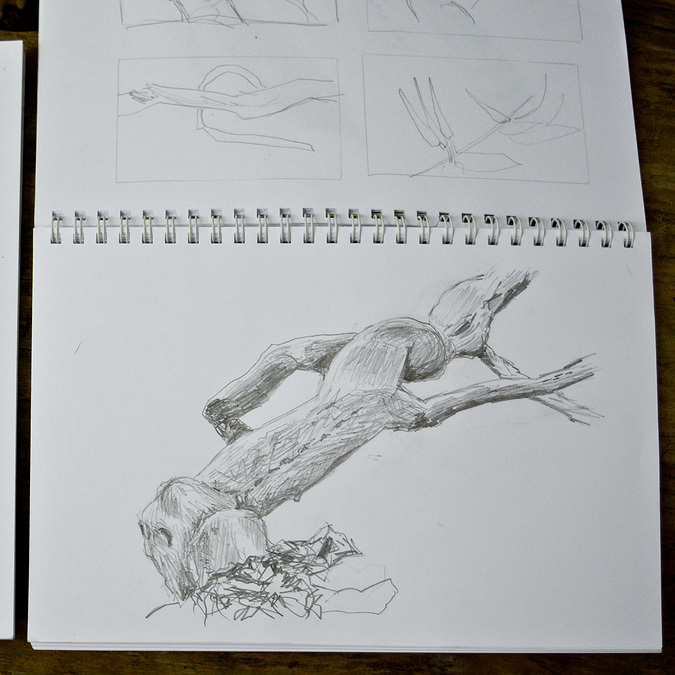 The knowledge you bring to the class is invaluable and helps us better understand what we’re depicting in our sketchbooks.